(Syracuse, NY): Bond, Schoeneck & King is pleased to announce that Thomas G. Eron and Suzanne O. Galbato, both resident in Bond’s Syracuse office, were elected to the firm’s management committee for 2019. According to Kevin M. Bernstein, chair of Bond’s management committee, “Tom and Suzanne bring years of leadership to the management committee. Both are highly respected attorneys among their peers as well as with their clients.” Bond operates out of ten offices; eight across New York as well as an office in Naples and Kansas City. The eight-member committee is the senior leadership committee of the firm, monitoring its performance and providing overall long-range planning and strategy for the firm. 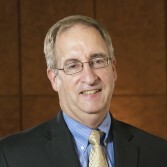 Thomas G. Eron, a graduate of Cornell University (1982) and University of Chicago Law School (1987), is chair of the firm’s labor and employment law department. He exclusively represents private and public sector management in labor relations, collective bargaining, employment law and immigration matters. Eron supports his clients with employment law counseling, training, and litigation avoidance strategies in partnership with their human resource managers, executives and general counsel. He also works extensively with employers on labor agreement negotiations and contract grievance and arbitration proceedings. In addition, he is an Adjunct Professor of Labor Law at Syracuse University’s College of Law. 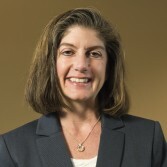 Suzanne O. Galbato, a graduate of Harvard University (1995) and Syracuse University College of Law (1998), is a litigation attorney who handles litigation throughout New York state courts and in federal courts across the country, including multidistrict and class action litigation. She counsels and represents a wide variety of clients, including individuals, manufacturers, media companies, pharmaceutical companies, insurance companies, financial institutions, municipalities, not-for-profit organizations, small business owners, school districts and universities. Galbato is also co-deputy chair of the firm’s litigation department. In addition to her work at Bond, she is active in the Commercial & Federal Section and the Women in Law Section of the New York State Bar Association.